This is an extract from THE NEW SAFARI by one of South Africa's leading photographers, Craig Fraser, and writer and JUST THE PLANET contributor, Mandy Allen. Published by Quivertree. Singita Lebombo takes its cues from nature�s finest engineers through a design concept inspired by the position and structure of nests, dens, eyries and lairs. 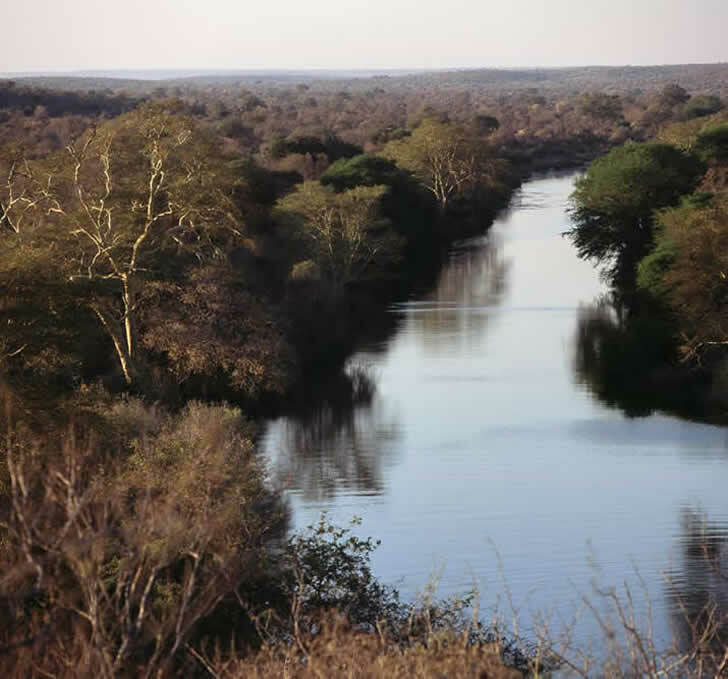 Singita Lebombo exists as a delicate and almost invisible form in what many refer to as the Kruger National Park�s most spectacular area. Set on a long, elevated site in the southeast region with aspects across the rolling Lebombo mountains, wildlife-abundant savannah and Nwanetsi river, the lodge is arranged in a succession of 15 private lofts and a public pavilion that clasp the side of the cliff like eagles� nests. Modular structures fashioned from simple materials � glass, steel and wood � are devoid of familiar architectural associations, the large vertical planes of glass exploring the idea of a boundary-less space and affording the privileged visitor dramatic encounters with both heaven and earth. Dwelling between the earth and the sky the Singita Lebombo stands as the revolutionary tour de force of contemporary safari style. The jewel in the crown of the Singita group, Singita Lebombo successfully deviates from the bush boutique hotel vernacular with an architectural approach that goes beyond the traditional ideas of the built environment. 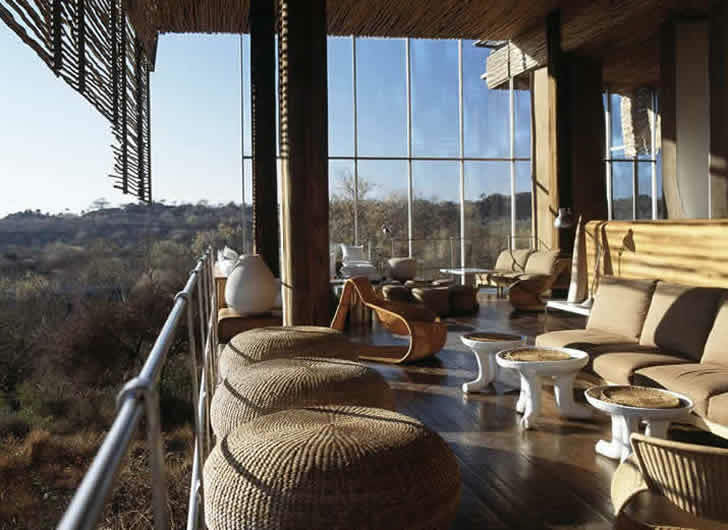 In a similarly freethinking manner, Singita Lebombo�s interior design, rather than tying itself to the African past, confidently explores an African future. �We wanted to communicate an awareness of dwelling between the earth and the sky,�explains Andrew Makin of OMM Design Workshop who, with partner Janina Masojada and regular collaborator Joy Brasler as well as Boyd Ferguson, was responsible for the architectural direction of the lodge. �The customary way of making an environment that respects its place in the African wilderness is to dig in and make it heavy with thatch, earth walls, screed floors. Our approach was to explore other non-physical, ethereal components of African consciousness.� As well as responding to the cliff-face location, the team�s inspiration was the animal-made shelter and the manner in which nomadic people would set up temporary camp on the African plain. Glass plays a pivotal role in achieving the architects� aspirations of creating a sense of fluidity, transparency and impermanence. With the exception of the sala (outdoor pool pavilion) with its undulating changing-room wall, the structure has been limited to the most basic geometric form: steel-framed glass cubes are bolted to the cliff face and appear in the landscape as floating platforms. These glass boxes have been wrapped in �shawls� of woven saligna-gum twigs that dapple the light and impart the effect of sleeping under a canopy of trees. The architecture allows for an astonishing degree of exposure to the immediate environment while still providing all the practical advantages of protection, comfort and privacy. This idea has been taken further by keeping the outer canvas in the traditional olive green, while the interior canvas is a contemporary shade of mustard. The tents open up completely at the front and rear to allow air to flow through, to enhance the feeling of space and to connect the interiors with the tranquillity of the scene outside. 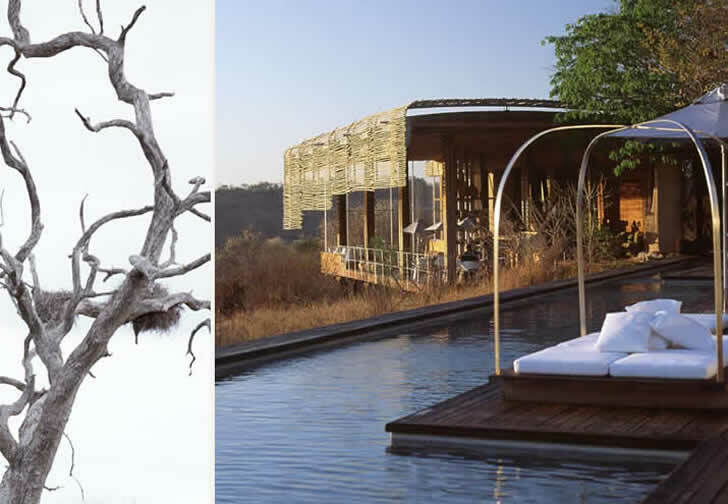 If the architecture of Singita Lebombo is revolutionary, its interior design has been nothing less than trendsetting. 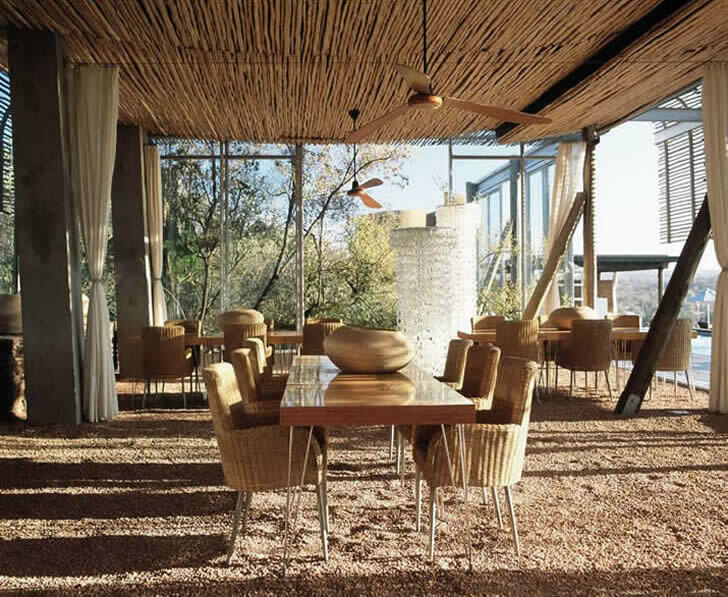 The work of Boyd Ferguson and Paul van den Berg of C�cile & Boyd�s, who were pivotal to the conception of Singita Lebombo�s look and feel from the outset, the decor integrates the urban and the organic, the sophisticated and the rustic, the hi-tech and the handcrafted. The tone is set by a largely neutral, sun-bleached palette that makes the already airy space seem even lighter and more diaphanous.